Angela Yosten: Pat Sloan's Radio Show & Blog Tour! 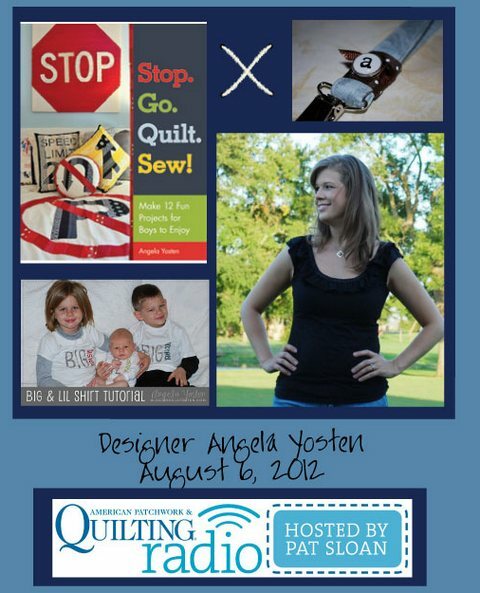 Be sure to tune into American Patchwork and Quilting Radio today! I will be on chatting with Pat Sloan about my new book, Stop. Go. Quilt. Sew! If you are unable to listen LIVE, then be sure to catch the recorded show soon after it airs here. PLUS... my blog tour starts today! I have never been missing... I have always known where I have been..
Life begins as a quest of the child for the man and ends as a journey by the man to rediscover the child.Thanks for sharing info. amazing blog. i like your posts. do share something about Dhow Cruise Dubai.